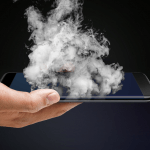 DO YOU KNOW WHAT CAUSES LITHIUM ION BATTERIES TO CATCH FIRE? Find out by reading Expert Michael Stichter’s latest article in the August 2017 issue of CLM Magazine. We’ve all heard about cell phones, hoverboards, e-cigarettes and cordless power tools (among other devices) that have caught on fire whether they were in use or not. Dr. Stichter talks about the different types of lithium ion battery fires and what investigators look for when determining the cause. MICHAEL STICHTER, PhD., P.E., is a mechanical engineer at ARCCA with extensive experience in lithium ion battery fires, as well as failure analyses of automotive components/systems, piping/manufacturing equipment and mechanical devices, such as forklifts, scissor lifts, etc.